Kenya's media industry is in the middle of a digital transition, with leading media companies changing their structure, investment and overall way of delivering news. Statistics from the Communication Authority of Kenya indicate that in the first quarter for the financial year 2017/2018, the total number of internet subscriptions stood at 30.89 million in Kenya. This was a 4.3 per cent increase from the previous quarter. Mobile data/ internet subscriptions made up 99 per cent of this figure, an indicator of the devices used to access the internet in Kenya. As the number of users and viewers on online platforms grows, the devices used will continue to play a role for content providers. 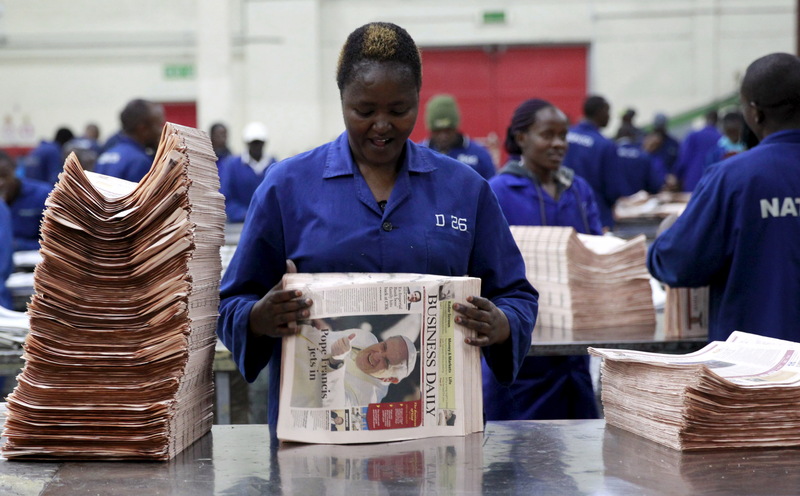 Journalist Fellow, Doreen Wainainah, takes an in depth look at the strategies currently being employed by Kenya's Nation Media Group in its print products and the lessons that can be borrowed by global media houses that have undergone and are still going through the evolution from print to online.